Scratches and dents are inevitable and that’s a fact!! No matter how much you try not to get them on your beloved, you do get at least a few light ones here and there. It could be either that young kid who bumped his bicycle into your car by mistake or another car which hit you from behind at the red light. Now, you need not go to the repair shop for each light scratch on your car. A cluster of these scratches at one area do look bad on your awesome car. And what’s even bad about leaving these scratches untreated is that they can at times rust. There are some cool hacks which can help you to fix them up if not completely remove them. So, hang on for some cool hacks that can make managing scratches much easier. Yes, a Duct Tape. It’s actually a very versatile and useful item for different household use. If used cleverly, it can solve some of your weirdest daily problems. And it’s the same when it comes to car scratches. However, it might not be as useful if the scratch is high on length. It works fine for smaller length scratches which are not too deep. You simply need to get a duct tape matching to your car’s paint color. 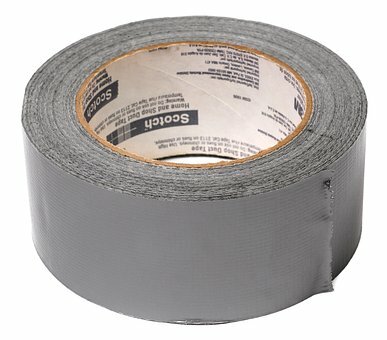 This shouldn’t be a problem as nowadays duct tape is available in different shades. However, you’ll have to make sure that you get a very closely-matching shade if not exactly-matching. Same color with a high contrast in shade can ruin the whole usefulness of this handy item as a different shade can be easily visible especially in light. Next, you’ll need to apply the duct tape as evenly as possible on the scratch. Do your best to avoid creases and other air-filled lines. Try to do it with light-hands and as smoothly as you can. You can go with the duct tape for quite long at least till you get your paint-job scheduled. Just like Duct Tape, tooth paste is also a pretty handy and useful household item when it comes to scratch-removal on items like DVDs, CDS, and screen of tablets, phones and laptops. The magic lies in its abrasive properties. The abrasive property helps to smoothen out the surface which helps by reducing the visibility of the scratch. However, if it’s a really deep scratch, it won’t be able to completely smoothen it. But it will of course help to make it less noticeable. It should work well on lighter scratches though. 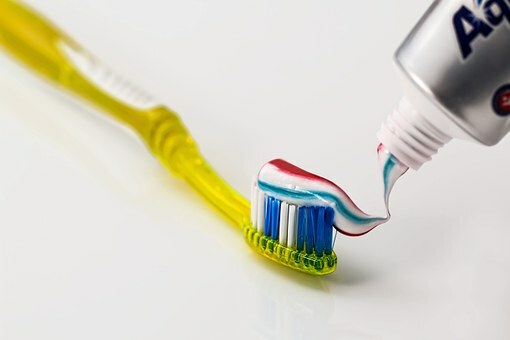 Toothpaste with silicone does a better job however because of their natural polishing property. Use toothpaste with whitening properties for best results. 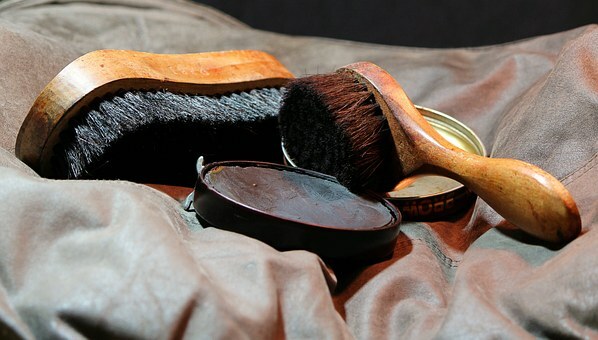 Just like tooth paste and Duct tape, shoe polish can also prove to be useful at least with your car scratches. But this item will work best only with cars with darker shades of paint. Yeah we know, it’s not available in all shades like the duct tape. However, there are some lighter shades such as cream and tan available in the market from some brands. Just find a shade which matches with your car color. Next, you need to get your car wash. Now, you can apply some shoe polish on the scratch and you’ll happy to see it fading. 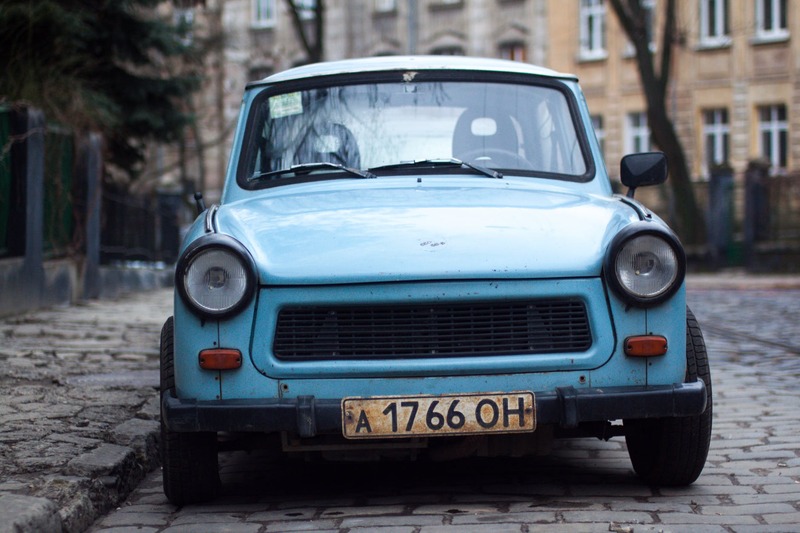 There is a polish other than shoe polish which can help you fix up light to moderate scratches on your car. And it’s the nail polish, also known as nail paint. Now, this one is pretty awesome because it comes in tons of shades. And you can possibly find a shade that exactly matches your car’s color. It’s also pretty cheap and may be you don’t have to even buy one as you can find a matching one in the vanity drawer of a female in your home. It also has a brush to apply which can help you cover the scratch as accurately as possible. However, there’s a thing needs to be taken care of. 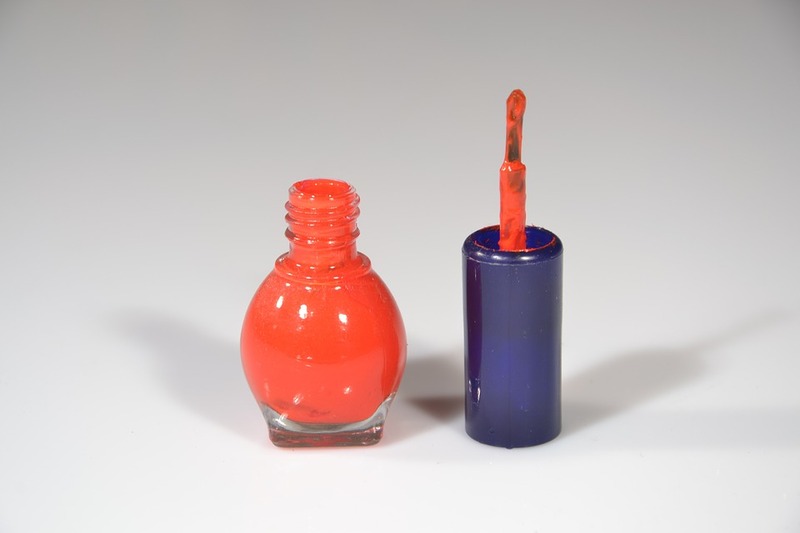 Many nail paint’s give a very different shade after complete drying. So, you’ll have to do a quick test before you apply it to the car. There is a spray paint available especially for cars. 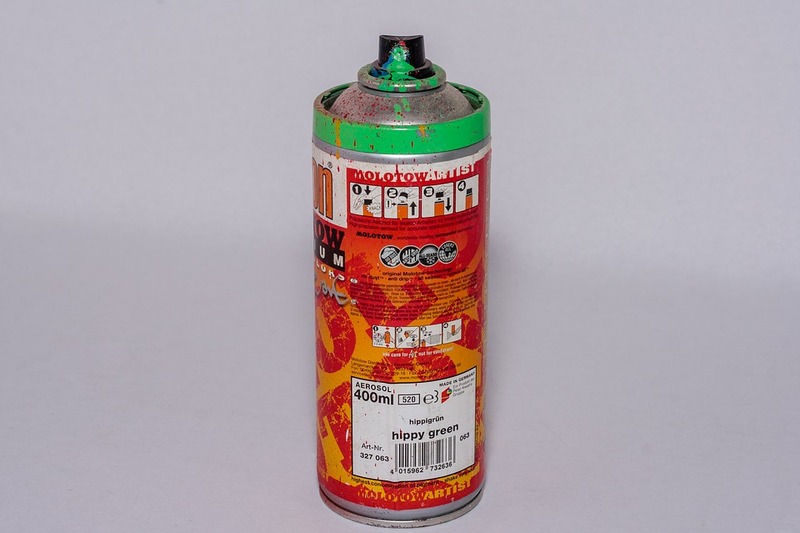 It can be used instead of touch paint and is fairly easy to use as it comes in a spray can. These are also available in different colors and at a quite affordable rate. Use as much required and rest can be kept for later uses. Spray paint is an excellent choice when your car has multiple scratches and there is a fairly large area that needs to be covered. However, again make sure that the color is exactly matching or at least very closely matching. This hack will however require some preparation work. You’ll also have to first clean up the surface thoroughly followed by sanding-up with fine sandpaper. Then you can spray paint the scratched-area. Then you need to apply a clear-coat followed by waxing to give a properly finished look. Just like Car-color spray paint, you can use a touch-paint which comes especially for Car scratches. The best part about these touch-up paints is that they also come with a color chart and you can easily find your matching color that way. However, there is a key to that. You need to use your car’s VIN to find the exactly matching color. You can easily find your car’s VIN generally at the lower-left corner of the dashboard in front of the steering wheel. Next, go to your dealer and tell them your car’s VIN and they should be able to help you with finding an exactly matching touch-up paint. Always use your dealer recommended touch-up paint otherwise the end results won’t be satisfactory. 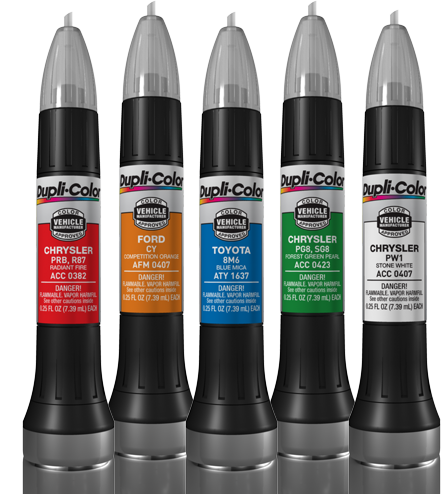 The best part about these touch-up paints is that they are available with a pen-applicator. This helps to cover the scratch with more precision and accuracy. Once you have got your touch-up paint, you need to do some prep work just like when using car-color spray paint. You’ll have to first clean up the scratch area and then sand it up with a fine sand paper. Then apply the touch-up paint and let it dry. Follow it with an automotive clear coat and finish it up with a generous waxing. This is the most effective way to cover up scratches son your car. 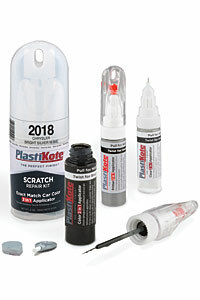 The reason is that this is the same thing used by repair shops and professionals for scratch-removal. Therefore, buying a high-quality kit will ensure you the best result. However, it will require some time and effort. This is because with a touch-up kit, multiple layers of paint and other components such as automotive clear-coat, primers, etc have to be applied. Nonetheless, the result is worth all the effort. You can check out some detailed tutorials on YouTube to help yourself with the process. If you are willing to go for a creative way to fix up your messed car, why not try some art work. 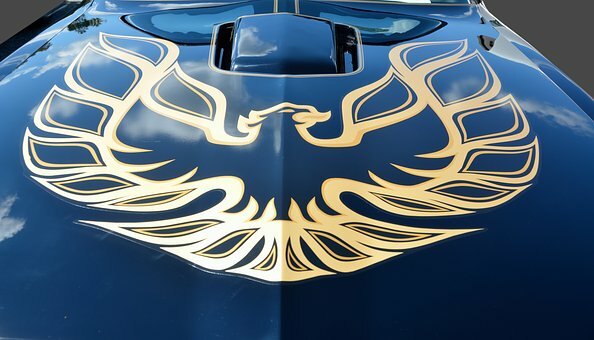 Yeah… an artwork not only adds to the looks of your car but is a very effective way of covering the scratches (if not removing them). It’s also pretty easy and cheap to get it done and you have a quite a few options. You can either get colored decals, trims or stickers layered over the scratches to hide them effectively. You can even get a latticework done on your car in a way that the lines make the scratches unnoticeable. However, the success of this trick depends upon your creativity and imagination. Also, positioning of the lines is an important factor in covering the scratches. And you can also flaunt your style, funky or classical, through these art works. Those were 8 simple yet cool hacks to fix up scratches… Most of these hacks will mostly work for light to moderate scratches. These hacks are in no way permanent solutions for the scratches. However, they can help you to cover up those scratches until you have your paintjob scheduled. The idea is that you can have a temporary solution with these hacks to cover up the scratches so that you don’t feel like a jerk on the road. Well, that’s what hacks are about. Hacks offer you instant success but they are not permanent solutions. If you want to get completely rid of the scratches, you have to get a professional paint job/special scratch removal process done.